As major stockists of French brand Le Chameau, we stock a good selection of clothing, accessories and of course their legendary boots. Free boot bag with all full price Le Chameau wellingtons. 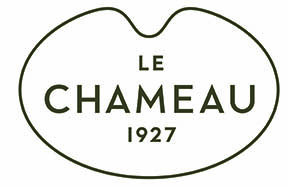 Le Chameau boots have a history of fine craftsmanship developed over 80 years. This premium French brand is family run and takes quality very seriously, requiring all of their boot makers to undergo nine months of training before they are entrusted to craft an authentic Le Chameau boot. Each pair of boots is made by a master boot maker, by hand, and created with care, knowledge, and precision. There’s much to be said for knowing your craft well, and Le Chameau has been honing their boot making skills since 1927. Le Chameau wellingtons withstand all kinds of weather keeping your feet warm, dry and unequivocally stylish no matter what Mother Nature decides to throw at you. Despite the passing of time, Le Chameau hasn’t given up on its factory in the North of France, but neither has it stayed squarely in the past. The company has resolutely moved with the technology and advancements of the time while maintaining its integrity and ingenuity as artisan boot makers. Country enthusiasts know how important it is to have quality, durable boots and clothing whether you are walking, shooting game, riding, or hiking. Le Chameau clothing manages to be stylish and reliable, incorporating Kotkor® (a unique material uniting cotton and Cordura®). Kotkor® was invented by Le Chameau themselves when it was found that the fabric they needed did not currently exist. Le Chameau footwear and clothing is high performance, made from premium quality materials designed to be effective no matter the weather. Le Chameau wellies are considered the 'Rolls Royce' of country footwear and are very popular indeed. Practical, hardwearing, with a dash of understated French elegance, Le Chameau is one of our best selling premium brands, and it’s very easy to understand why.